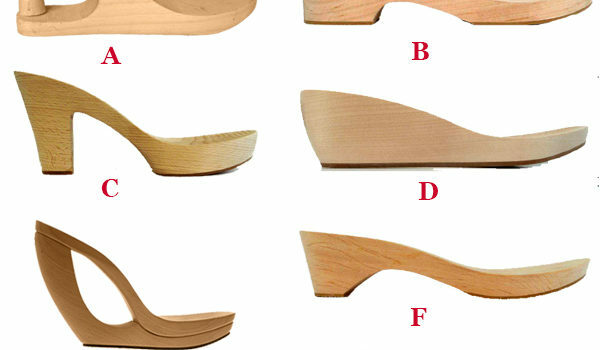 Get one pair of wooden heels to make your own wedges, sandals, mules or clogs. 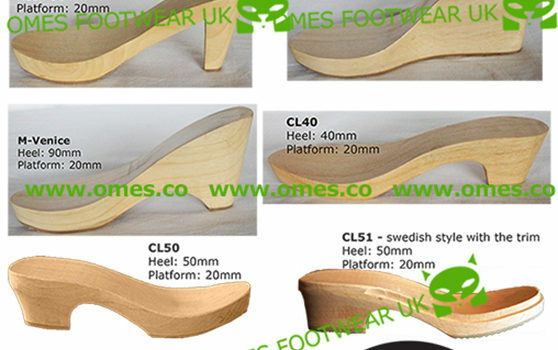 You can either email your design or choose among our models (CL40, Venice, M12, M9, MH8, MH6, MH10, CL50 and CL51). 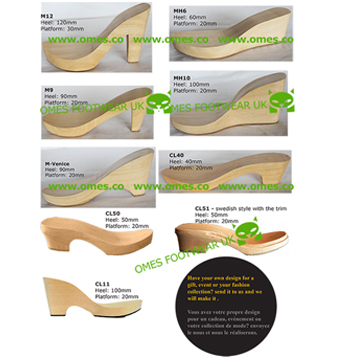 How to order: buy and tell us the shoe sizes and model in the “note to seller” form on the payment page (for instance write “1 x CL40 of size EU38”), or contact us before purchase. Delivery time: 2-3 weeks. For faster delivery, contact us. 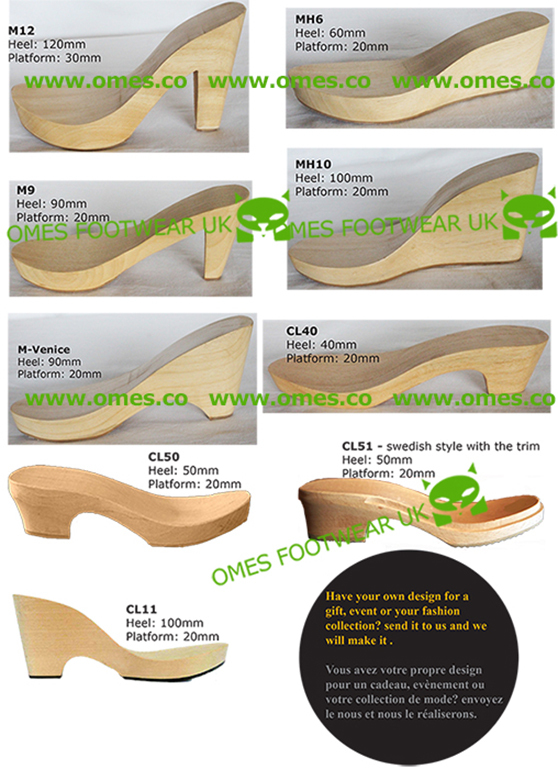 Discount available for large order. Contact us for more information.